The Bungalows, located in Ahmedabad West, is a residential development of E City Projects Construction. It offers spacious and skillfully designed apartments. The project is well equipped with all the lifestyle amenities to facilitate the needs of the residents. The site is in close proximity to various civic utilities. The residences come with unparalleled spaces and volumes and yet they are designed to be so uncommon and ever so exclusive. They provide absolute privacy of a bungalow and deliver every pleasure of a signature high rise. The 70 meter tall towers, adorned with breath taking 70 meter tall atriums, indulge you in luxury with 4 BHK apartments and 5/6 BHK Duplex and Penthouses. The high walled palatial bungalows of 5 and 6 BHKs rise 25 feet in the living, dining and deck areas. The private entry foyers and the exclusive lifts, both within and outside the residences, provide for greater privacy, comfort and convenience. The layout, thoughtfully crafted, synthesises all living spaces in a common harmony. The Bungalows, splendrously built by E-City Ventures, a part of The Essel Group is located at Iskcon Cross Roads. Designed by Talati & Panthaky Associates (TPA), The Bungalows has unparalleled design, aesthetics and amenities that provide a truly spectacular living experience. The location itself is a landmark ? The iconic Fun Republic, The first entertainment centre of Gujarat. 25 Ft Clear height In 5 and 6 BHK Duplexes - Private Guest Lounge/Dining/Living and Decks. Located Opp. Satyagrah Chhavani at Satellite, Ahmedabad?s most up scaled & coveted neighborhood. Spread over 8,000 Sq. Yd. of Land, one of largest premium residential complex in upscale Satellite. What is the location of The Bungalows?The location of the project is Satellite, Ahmedabad West. What is the area of apartments in The Bungalows? The area of apartments offered in the project ranges from 5450.0 sqft to 8126.0 sqft. What is the 4 bedroom size in The Bungalows? Four-room units (4BHK) in the project are available in an area of 5450.0 sqft. How much is the total size of The Bungalows?The project is spread over an area of 1.65 Acres. What is the price of 4 bhk in The Bungalows? 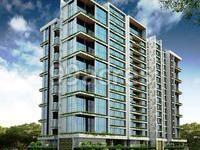 4 BHK units in the project are available at a price tag of Rs. 55001400. What is the price of flats in The Bungalows? Average unit prices in the project stand between Rs. 55001400 and Rs. 81002680. E-City Ventures is part of the Essel Group - the brand behind successful lifestyle brand Fun Republic- currently operating 3 lifestyle malls in Mumbai, Lucknow and Coimbatore. The Essel Group has diverse national and global business interests encompassing media, broadcast distribution, specialty packaging, entertainment, infrastructure, education, telecom and real estate.